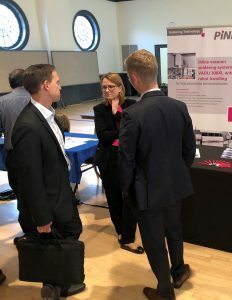 PSMA Sponsored second International Symposium on 3D Power Electronics Integration and Manufacturing (3D PEIM) was another success! On June 25-27, 2018, over 70 participants, 22 from outside the US, attended the event in College Park, Maryland. Prior to the technical program, three tutorials were given by leading experts on additive manufacturing and power electronics system integration: “Additive Manufacturing” by Prof. Christopher Williams of Virginia Tech; “System Integration” by Prof. Douglas Hopkins of NC State University; and “Integrated Thermal Packaging” by Prof. Michael Ohadi of University of Maryland. Attendee reviews of the tutorials were outstanding with over 90% feeling that they increased their knowledge from the Symposium. The Symposium opened with two outstanding keynote talks given by two leading researchers in power packaging: “Small, Quiet, Robust, and Affordable: Delivering the Integrated Promise” by Prof. Mark Johnson, University of Nottingham, UK; and “Embedding Technologies for Planar Power Electronics Modules” by Prof. Rolf Aschenbrenner, Fraunhofer Institute-Berlin, Germany. 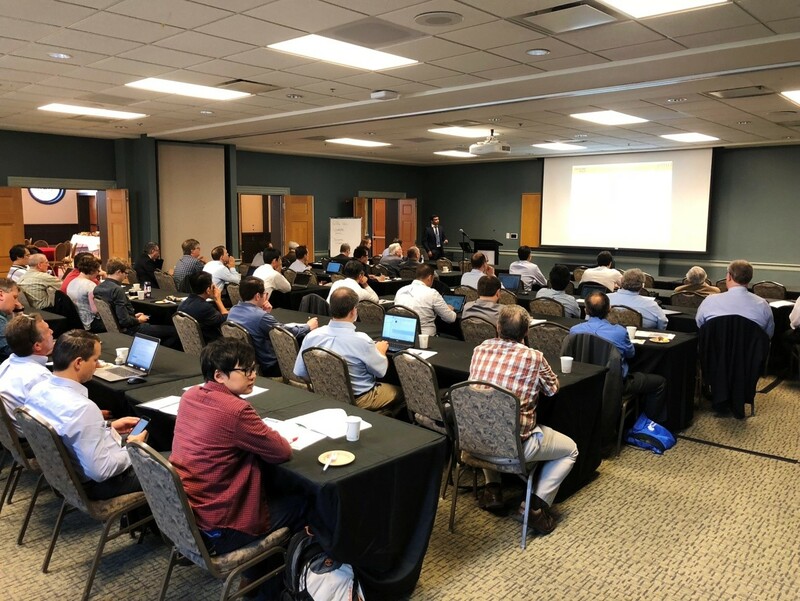 Attendees were able to attend every presentation in the 3DPEIM high-value single-track technical program featuring 34 oral presentations divided into eight topical sessions, each with a keynote speaker followed by three invited/contributed talks. Over 80% of the oral talks were invited. The presenters and attendees engaged in lively discussions during the sessions and had many networking breaks. In addition, 19 posters were displayed during a meaningful interactive session with the displaying students. Participant feedback stated that 90% of attendees felt the presented material was high quality and they were interested in attending a future 3D-PEIM Symposia. The presentations from this Symposium are available to PSMA members and Symposium attendees until April 30, 2019 after which they will be available to the public. The Symposium was sponsored by the Power Sources Manufacturers Association (www.psma.com), with IEEE EPS as a technical sponsor. 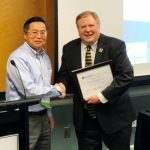 It was also support financially by 2 industry sponsors, Pink GmbH and Kemet, plus 3 academic sponsors, CALCE at University of Maryland, CPES at Virginia Tech, and the FREEDM Systems Center at NCSU. Planning for 3D-PEIM 2020 has begun. If you are interested in participating or sponsoring, please contact info@3D-PEIM.Org, or the PSMA office at power@psma.com.